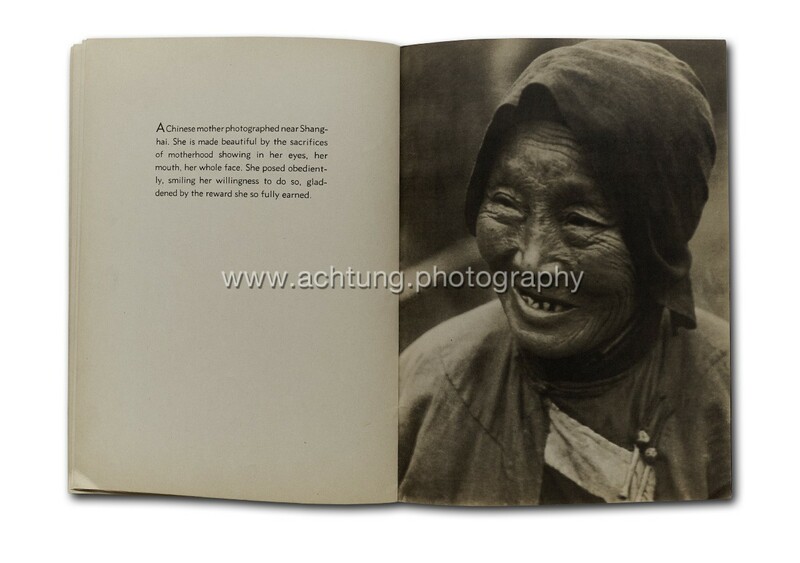 This 30-page soft cover book unveils its beauty as soon as you pass the cover. The cover design seems almost too ‘cinematic’ considering how graphically strong the book’s main body is. 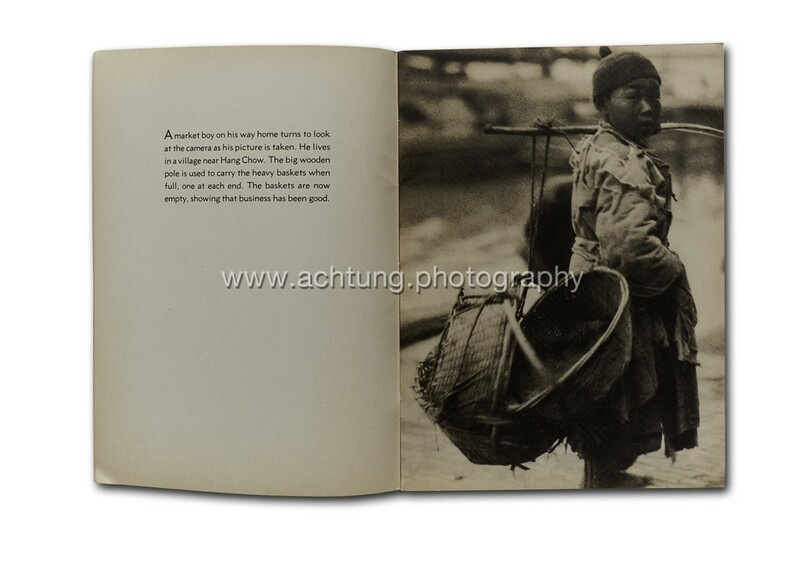 The photographs have a strong bold and graphic quality to them and at the same time they have a soft pictorialist look. 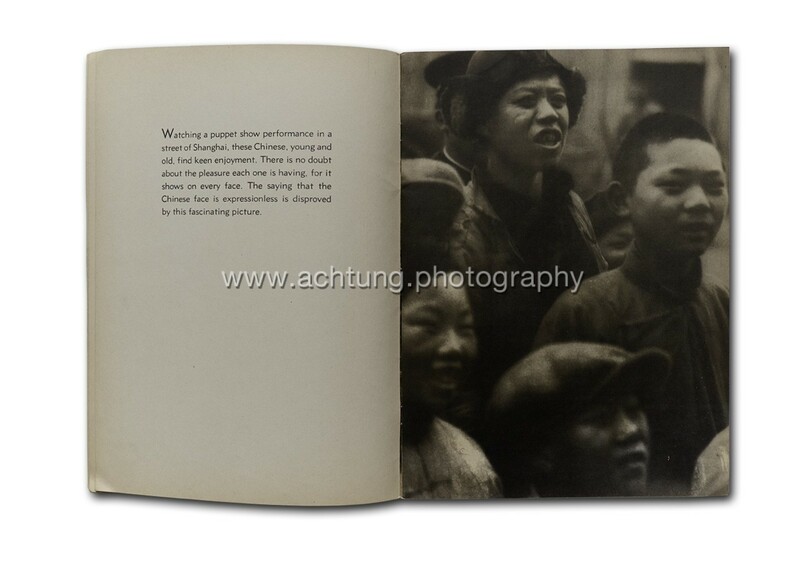 Close-up portraits and scenes of life in China. 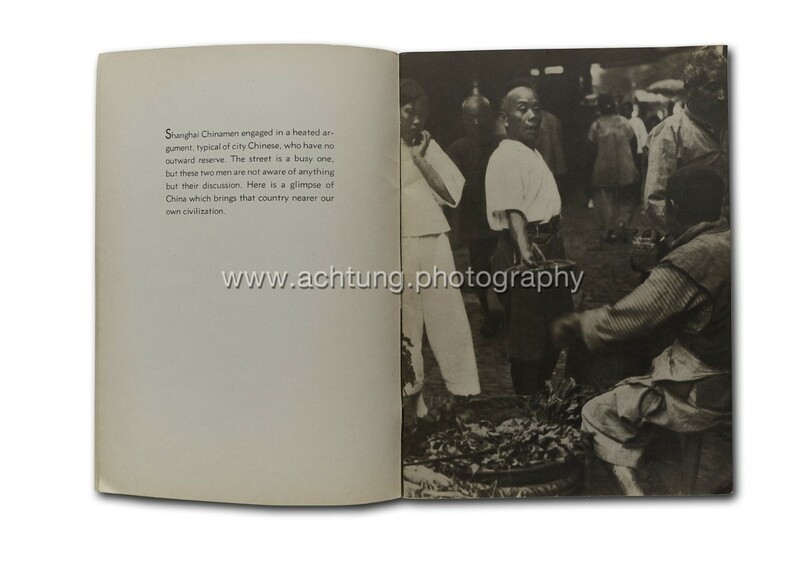 The full-page photographs are printed with a warm, sheet-fed gravure like, appearance.A short explanatory text is printed on the opposite page. 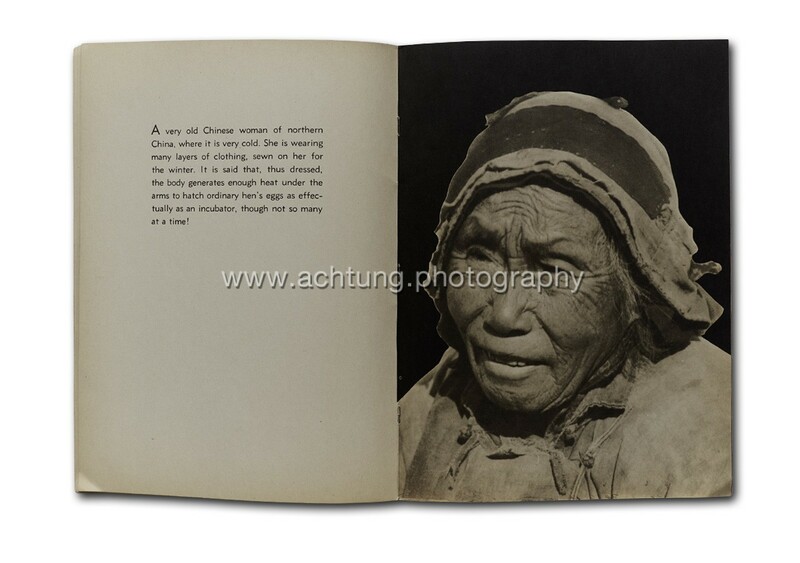 The texts are kind of bold just like the photographs. They seem as if they were plates from a silent movie describing each scene. 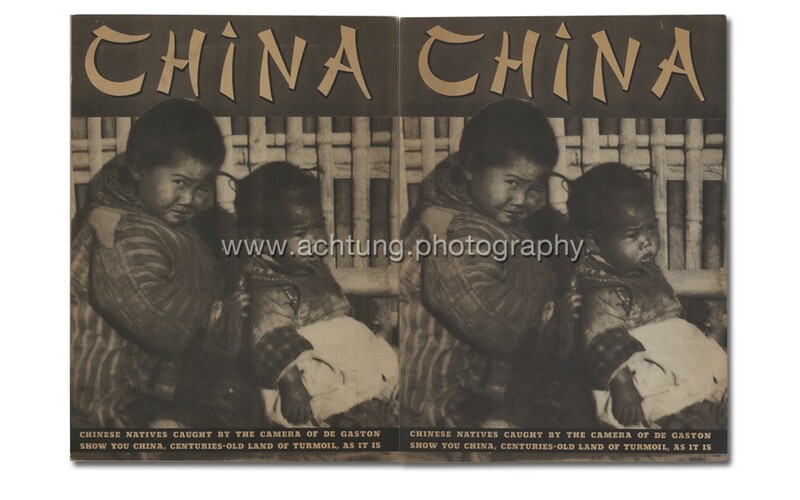 There is a kind of naive quality to this publication, which is part of its charm. The only text in the book are the descriptions, and the publisher’s credit line printed on the reverse of the front cover (see below). The texts are in a block, in sans serif typeface. 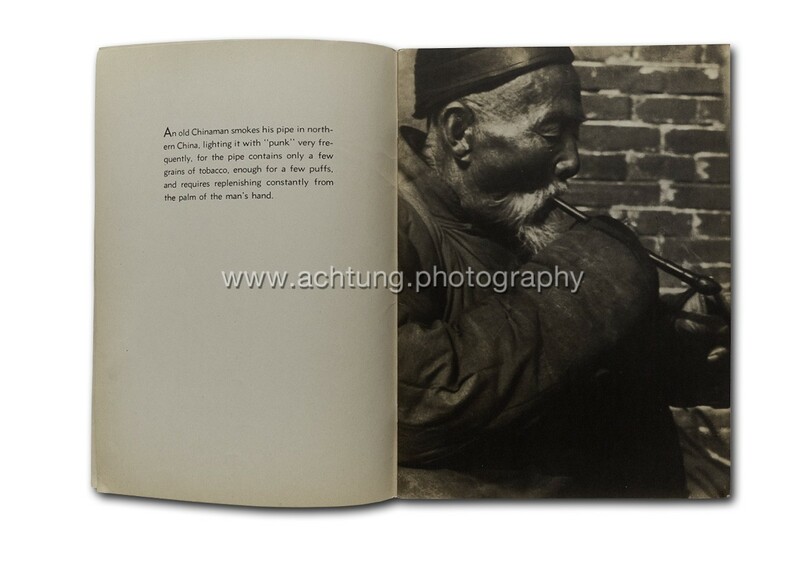 That reminds somehow of the French Arts et Métiers Graphiques Photographie annuals published between 1930 and 1947. The publisher Whitman Publishing Company, based in Racine, Wisconsin USA was mainly known for publishing books, playing cards, games and greeting cards. They also had a licensing contract with Disney and published many early classic titles such as Mickey Mouse, Donald Duck and Tarzan. 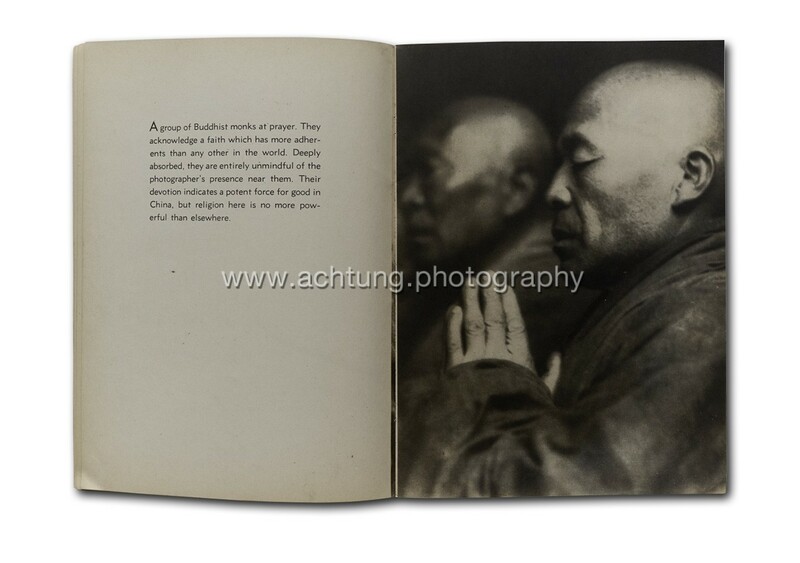 (Paul) De Gaston is a relatively unknown figure in the photography world. 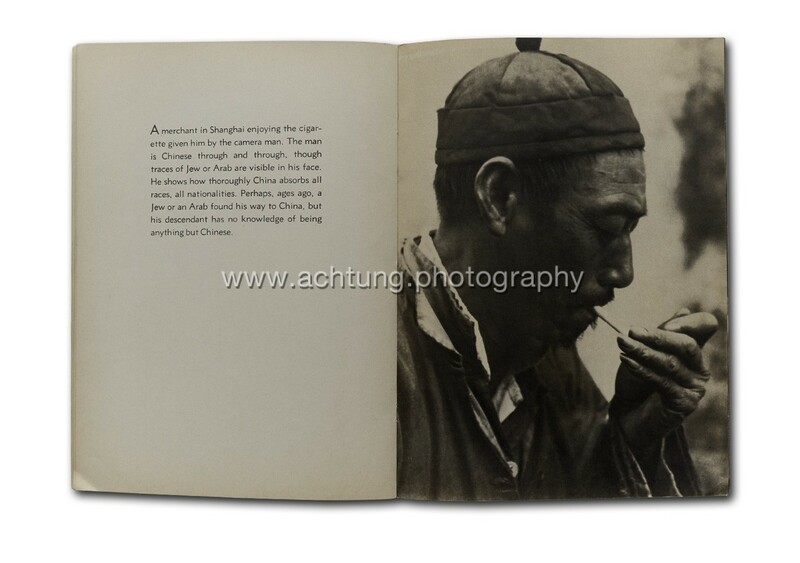 Some of his China photographs were published prior to this book on fifteen pages in the November 1934 issue of the National Geographic magazine. 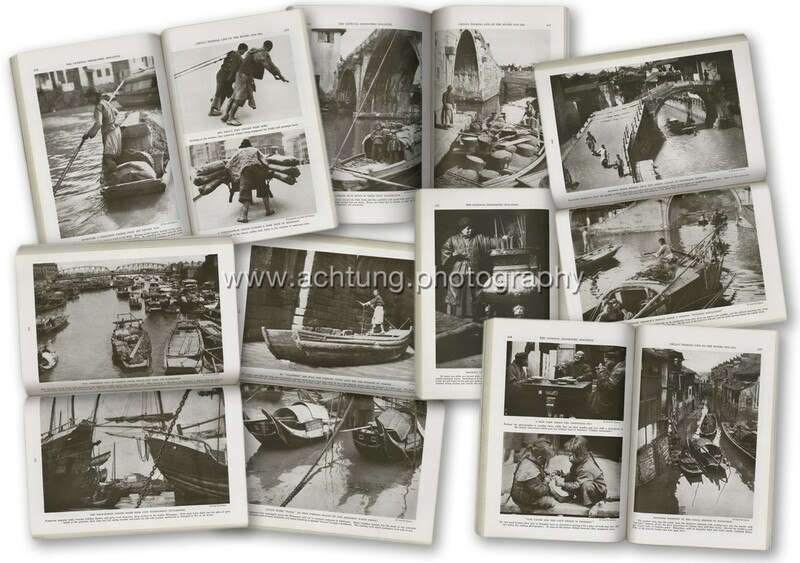 Seventeen photographs were used to illustrate the article China’s Teeming Life on the Rivers and Sea (pages 626 to 640). 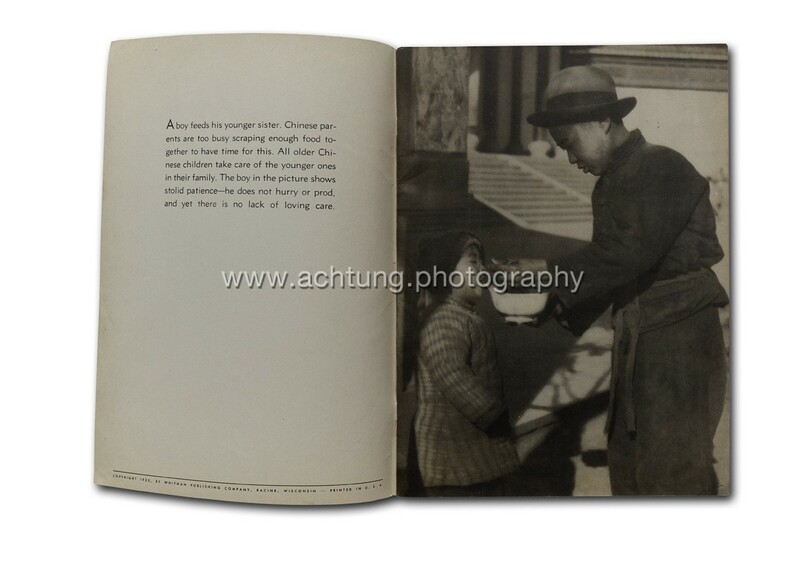 This publication of De Gaston’s China photographs predates his China book by a year (see below). De Gaston’s history has proven to be both elusive and bizarre. Various online articles refer to (Paul) De Gaston as an actor and photographer in Hollywood, a “Hollywood violinist and medical student”, an artist, and even an abortionist who was charged in a Los Angeles murder case in 1934 (the year of the National Geographic publication). 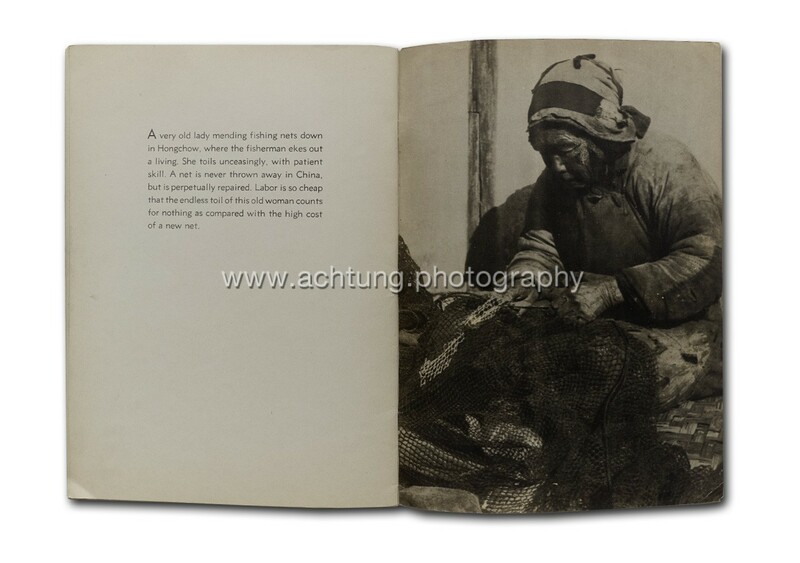 Whether any of these stories refer to a single man, two men of the same name, or the (Paul) De Gaston who photographed in China, it still remains unclear.